Testicular neoplasm, commonly known as testicular cancer, refers to abnormal cell growth in the testicles – the male reproductive organ in the scrotum. Testicular neoplasm is classified into two main types. Seminoma is a slow-growing condition that starts in the testes, but it also can affect the lymph nodes. It’s usually seen in men in their 30s and 40s. Nonseminomas are cancers that develop in the germ cells, which are responsible for sperm production. These are more aggressive than seminomas, and it can affect more than one type of cell. However, not all testicular growth is cancerous. This includes stromal tumors, which usually occur during childhood. The cause of a testicular neoplasm is unclear; however, a person’s likelihood of developing the condition if he is exposed to the following risk factors. Cryptorchidism – It’s commonly referred to as an undescended testicle, where the testes – which are formed in the abdominal area – do not descend into the scrotum before birth. 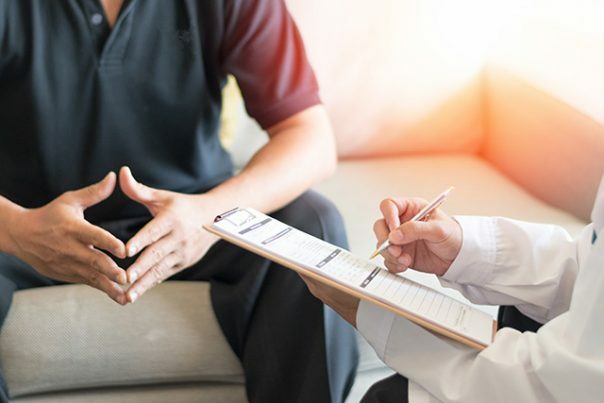 Abnormal testicle development – Those who have irregularly formed testicles because of conditions such as Klinefelter syndrome are at risk of testicular neoplasm. Family history – Men who have a family member who had developed testicular cancer are also more likely to get the condition. Age – The condition can occur at any age, but it’s seen more often in men aged 15 and 35. In most cases, testicular neoplasm affects one testicle. Most survivors of the condition lead normal lives afterward. However, those who have undergone chemotherapy and radiotherapy are at risk of a relapse. In particular, those who had chemotherapy experience reduced fertility and testosterone levels – also called hypogonadism. Smokers who have testicular neoplasms are also at risk of developing cardiovascular disease as a complication of the disease. Recurrences that occur two years or more after treatment will not respond well to chemotherapy. Whole grains. All grains provide glucose, which is the body’s main energy source, but whole grains do so while keeping its nutritional profile intact. These can help boost the reproductive system’s risk of developing inflammation, as well as infertility and cancer. Tofu and lean protein. The consumption of saturated fats could increase a person’s risk for prostate cancer, which could also affect the testicles. Instead of red meat, switch to fish, poultry, tofu, beans, and lentils. Fruits and vegetables. These are rich in antioxidants, which boost the body’s ability to fight oxidation and prevent cancer. Selenium-rich foods. Adding selenium in a man’s diet results in the production of healthy sperm cells. It can be found in Brazil nuts, walnuts, brown rice, and shrimp. Stage I cancer means that it hasn’t spread beyond the testicle. Stage II cancer indicates a spread to the lymph nodes in the abdomen. Stage III cancer denotes metastasis beyond the lymph nodes, which could extend to the liver, lungs, and even the brain. Healthcare providers will usually recommend either the surgical removal of the testicle, radiation therapy or chemotherapy to treat the condition. Testicular neoplasm is the abnormal cell growth in the testicles. Seminoma is a neoplasm that starts in the testes but can later affect the lymph nodes. Nonseminomas, on the other hand, are cancers that develop in cells responsible for sperm production. Most survivors of testicular neoplasm lead normal lives afterward. However, those who have undergone chemotherapy and radiotherapy are at risk of a relapse. Testicular neoplasms can result in reduced fertility and testosterone levels.